Owner Has a Passion for Quilting , Sewing and Yarn. 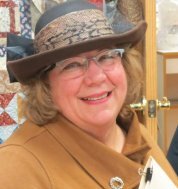 Hi, I’m Linda Linsenbarth, owner of Sew What’s New and Yarn Too! 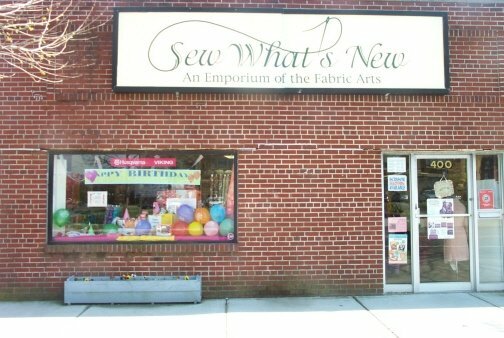 We have been in the heart of Islip since April 1st, 2003 (no fooling!) and have dedicated the last fifteen years to bringing vibrant yarns and colorful fabrics right to you! We pride ourselves on being your one-stop-shop, for everything from machinery to threads, and even fully immersive classes to utilize the best each machine has to offer! Our wonderful and patient staff will work with you to help create the crafts of your dreams, no matter your skill level! One of the many points of pride for us here at Sew What's New and Yarn Too! is our dedication to "Keeping The World Sewing." Childrens sewing classes are not only fun for us to teach, but are just as enjoyable for young people who are starting their journey into creative crafting! Your child will be blown away by how much learning to sew will help them in their day to day lives as well! From learning how to repair their own damaged clothing to problem solving techniques, the lessons learned in our classes will last a lifetime. Another key part of Sew What's New and Yarn Too! are the sewing machines we offer. We are authorized to repair Husqvarna Viking. From general upkeep to more intricate repairs, let us help keep that beautiful piece of machinery up and running for many years to come! Much like changing the oil in your car, regular maintenance on your machine will help to extend the life and performance of your machine. Our goal is, and has always been, to make sure every customer feels welcome and comfortable when in our store. Whether you're looking for your next machine, bold and unique textures, soft yarns, or even just a cup of coffee and tea while discussing an upcoming project, Sew Whats New and Yarn Too! is the place to be! Stop in and fall in love with your own creativity!